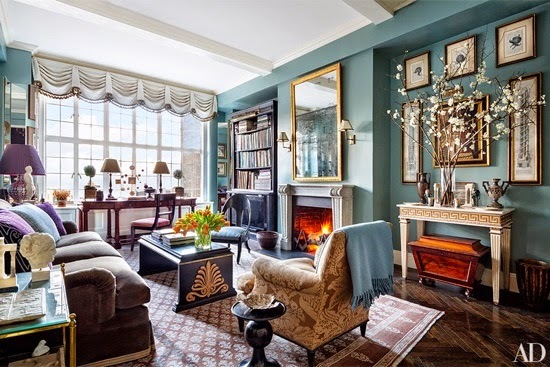 This is the fantastic New York City home of interior decorator Alexa Hampton and her family with three children. 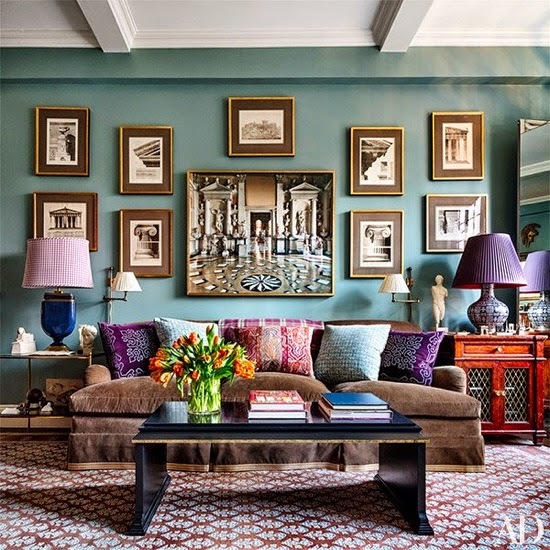 I love how she combines soft neutrals with more vibrant colours and manage to creat a very warm yet still elegant home. If you haven´t already, head over to Architectural Digest for many more photos of this home, especially the before photos. The home also has an interesting story of how it got in the family one Christmas...(well, that is a present). The color is like the ocean I LOVE it! !